Congress Should Revert to Section 702 as Passed in 2008, If That’s What the Spooks Want! Congress is passing a continuing resolution with an extension of Section 702 today, giving Congress one month to figure out how it will reauthorize the surveillance program. 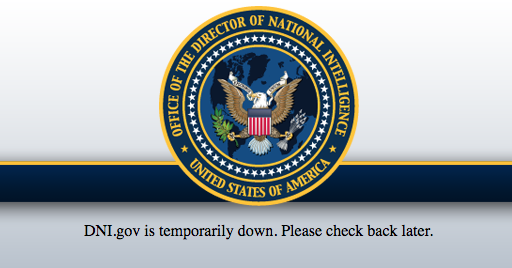 But the Intelligence Community is making one more bid to talk Congress into passing some bill today. The same Intelligence Community that has opposed bills that offer even lip service reforms — most notably the House Judiciary Committee bill — insist that anything else than a new authorization will make the country less safe. And (again, from an IC that has refused to engage with the HJC bill) the IC wants its reauthorization now, without the short term extension, because short term extension don’t provide certainty. Where the release gets truly inexcusable, however, is how they flip their demand that this reauthorization codify certain dubious practices and not limit other ones. Congress is not required to make changes, the spooks say, without telling you that even the SSCI bill makes at least one reform, and most of the bills on the floor today make more serious ones. Those are the bills the IC prevented from passing. To be clear – Congress is not required to make any changes to Section 702. The Intelligence Community conducts and uses 702 collection in a manner that protects the privacy and civil liberties of individuals. The spooks pretend, as they have before, that the Ninth Circuit approved back door searches, which it didn’t. Every single court that has reviewed Section 702 and queries of its data has found it to be constitutional. They then take their emphasis on the word targeting a step further than normal to avoid telling you that their “targeted surveillance” of location-obscuring servers like Tor and VPNs actually collects on US persons, and the “oversight’ of that collection allows entirely domestic communications collected via such “targeted” collection to be used in criminal cases. The Intelligence Community’s use of Section 702, which permits targeted surveillance only of foreign persons located outside the United States, is subject to extensive oversight and incorporates substantial protections to protect the privacy and civil liberties of individuals. Here, the spooks don’t acknowledge how much has changed in between the various passage of these bills. In short, we believe Congress got it right in 2008 when it passed Section 702 and in 2012 when Congress reauthorized it. Consider: if the 702 on the table today were 702 as it existed in 2008, Congress would pass it gladly. That’s because no backdoor searches were permitted (though FBI was already doing them), to say nothing of the 2014 exception that permits the collection of US person location-obscured communications. And upstream “about” collection wasn’t affirmatively permitted either. In other words, if Congress could have Section 702 as it passed in 2008, it’d be a vast improvement from a privacy perspective than the program as it exists right now (and also wouldn’t include a counterproliferation certificate or approval to target cybersecurity targets). Note, too, the spooks don’t admit that most of Congress didn’t know about backdoor and other kinds of US person searches in 2012. All that said, even after saying that Congress had it right in 2008, the spooks return to the coded demands that Congress not do a single thing to limit the spying on Americans that has gotten added to the program since 2008. Nevertheless, the Intelligence Community continues to be open to reasonable reforms to Section 702 to further enhance the already-substantial privacy protections contained in the law, but we simply cannot support legislation that would impede the operational efficacy of this vital authority. There were many “reasonable reforms to … further enhance the already-substantial privacy protections contained in the law.” Those were the bills the IC refused to let pass, which is why we’re here on one of the last legislative days of the year, punting this legislation for a month. https://www.emptywheel.net/wp-content/uploads/2017/12/Screen-Shot-2017-12-21-at-2.11.15-PM.png 268 512 emptywheel https://www.emptywheel.net/wp-content/uploads/2016/07/Logo-Web.png emptywheel2017-12-21 15:33:362017-12-21 15:33:36Congress Should Revert to Section 702 as Passed in 2008, If That's What the Spooks Want! As expected, much of today’s hearing on the Russian hack consisted of members of Congress — from both parties — posturing for the camera. At first, it seemed that the Republican line of posturing — complaining about the leak that exposed Mike Flynn’s conversations with Ambassador Sergey Kislyak — tracked Donald Trump’s preferred approach, to turn this into a witch hunt for the leakers. But it was actually more subtle than that. It appears Republicans believe the leaks about Flynn have (finally) made Congress skittish about incidental collection of US person communications as part of FISA collection. And so both Tom Rooney and Trey Gowdy spent much of their early hearing slots discussing how much more difficult the leak of Flynn’s name will make Section 702 reauthorization later this year. In the process, they should have created new fears about how painfully ignorant the people supposedly overseeing FISA are. 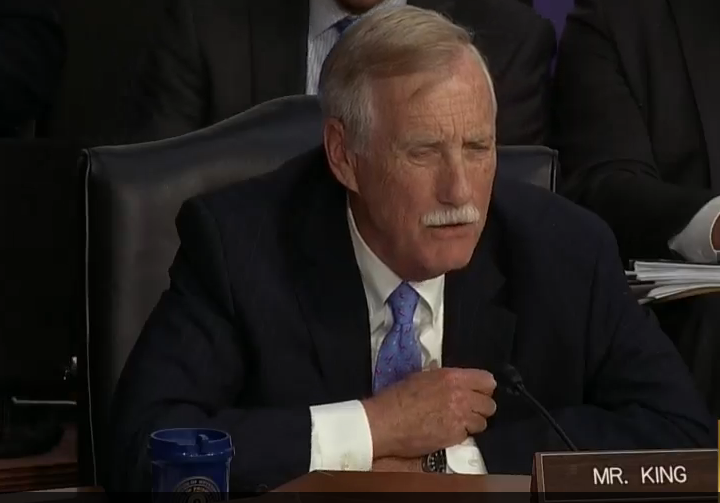 Rooney, who heads the subcommittee with oversight over NSA, started by quizzing Mike Rogers about the process by which a masked US person identity can be disclosed. Along the way, it became clear Rooney was talking about Section 702 reauthorization even while he was talking traditional FISA collection, which doesn’t lapse this year. Rooney: If what we’re talking about is a serious crime, as has been alleged, in your opinion would leaking of a US person who has been unmasked and disseminated by intelligence community officials, would that leaking hurt or help our ability to conduct national security. Rooney: Ok, if it hurts, this leak, which through the 702 tool, which we all agree is vital–or you and I at least agree to that–do you think that that leak actually threatens our national security. If it’s a crime, and if it unmasks a US person, and this tool is so important it could potentially jeopardize this tool when we have to try to reauthorize it in a few months, if this is used against our ability to reauthorize this tool, and we can’t get it done because whoever did this leak, or these nine people that did this leak, create such a stir, whether it be in our legislative process or whatever, that they don’t feel confident a US person, under the 702 program, can be masked, successfully, and not leaked to the press, doesn’t that hurt–that leak–hurt our national security. Eventually Admiral Rogers broke in to explain to his congressional overseer very basic facts about surveillance, including that Flynn was not and could not have been surveilled under Section 702. Rooney: Right. And what we’re talking about here is incidentally, if a US person is talking to a foreign person that we’re listening to whether or not that person is unmasked. Nevertheless, Rooney made it very clear he’s very concerned about how much harder the Flynn leak will make it for people like him to convince colleagues to reauthorize Section 702, which is even more of a privacy concern than traditional FISA. Rooney: But it’s really going to hurt the people on this committee and you in the intelligence community when we try to retain this tool this year and try to convince some of our colleagues that this is really important for national security when somebody in the intelligence community says, you know what the hell with it, I’m gonna release this person’s name, because I’m gonna get something out of it. We’re all gonna be hurt by that. 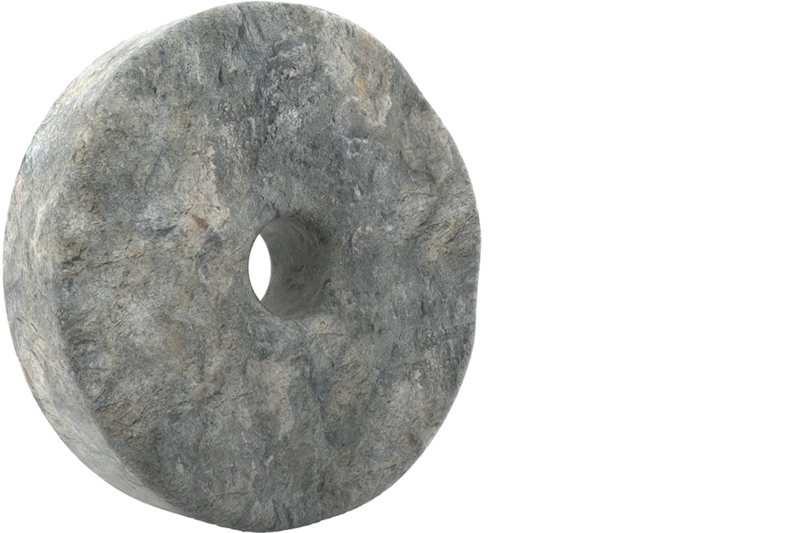 If we can’t reauthorize this tool. Do you agree with that? A little later, Trey Gowdy got his second chance to complain about the leak. Referencing Rogers’ earlier explanation that only 20 people at NSA can unmask a US person identity, Gowdy tried to figure out how many at FBI could, arguing (this is stunning idiocy here) that by finding a finite number of FBI officials who could unmask US person identities might help assuage concerns about potential leaks of US persons caught in FISA surveillance. Comey: I don’t know for sure as I sit here. Surely more, given the nature of the FBI’s work. We come into contact with US persons a whole lot more than the NSA does because we may be conducting — we only conduct our operations in the United States to collect electronic surveillance. I can find out the exact number. I don’t know it as I sit here. Gowdy: I think Director Comey given the fact that you and I agree that this is critical, vital, indispensable. A similar program is coming up for reauthorization this fall with a pretty strong head wind right now, it would be nice to know the universe of people who have the power to unmask a US citizen’s name. Cause that might provide something of a road map to investigate who might have actually disseminated a masked US citizen’s name. Here’s why this line of questioning from Gowdy is unbelievably idiotic. Both for traditional FISA, like the intercept targeting Kislyak that caught Flynn, and for Section 702, masking and unmasking identities at FBI is not the concern. That’s because the content from both authorities rests in FBI’s databases, and anyone cleared for FISA can access the raw data. And those FBI Agents not cleared for FISA can and are encouraged just to ask a buddy who is cleared to do it. In other words, every Agent at FBI has relatively easy way to access the content on Flynn, so long as she can invent a foreign intelligence or criminal purpose reason to do so. Which is probably why Comey tried to pitch something he called “culture” as adequate protection, rather than the very large number of FBI Agents who are cleared into FISA. Comey: The number is … relevant. What I hope the US–the American people will realize is the number’s important but the culture behind it is in fact more important. The training, the rigor, the discipline. We are obsessive about FISA in the FBI for reasons I hope make sense to this committee. But we are, everything that’s FISA has to be labeled in such a way to warn people this is FISA, we treat this in a special way. So we can get you the number but I want to assure you the culture in the FBI and the NSA around how we treat US person information is obsessive, and I mean that in a good way. Gowdy: Director Comey I am not arguing with you and I agree the culture is important, but if there are 100 people who have the ability to unmask and the knowledge of a previously masked name, then that’s 100 different potential sources of investigation. And the smaller the number is, the easier your investigation is. So the number is relevant. I can see the culture is relevant. NSA, FBI, what other US government agencies have the authority to unmask a US citizen’s name? Comey: Well I think all agencies that collect information pursuant to FISA have what are called standard minimization procedures which are approved by the FISA court that govern how they will treat US person information. So I know the NSA does, I know the CIA does, obviously the FBI does, I don’t know for sure beyond that. Gowdy: How about Main Justice? Comey: Main Justice I think does have standard minimization procedures. Gowdy: Alright, so that’s four. NSA, FBI, CIA, Main Justice. Does the White House has the authority to unmask a US citizen’s name? Comey: I think other elements of the government that are consumers of our can ask the collectors to unmask. The unmasking resides with those who collected the information. And so if Mike Rogers’ folks collected something, and they send it to me in a report and it says it’s US person #1 and it’s important for the FBI to know who that is, our request will go back to them. The White House can make similar requests of the FBI or NSA but they don’t on their own collect, so they can’t on their own unmask. That series of answers didn’t satisfy Gowdy, because from his perspective, if Comey isn’t able to investigate and find a head for the leak of Flynn’s conversation with Kislyak — well, I don’t know what he thinks but he’s sure an investigation, possibly even the prosecution of journalists, is the answer. Gowdy: I guess what I’m getting at Director Comey, you say it’s vital, you say it’s critical, you say that it’s indispensable, we both know it’s a threat to the reauthorization of 702 later on this fall and oh by the way it’s also a felony punishable by up to 10 years. So how would you begin your investigation, assuming for the sake of argument that a US citizen’s name appeared in the Washington Post and the NY Times unlawfully. Where would you begin that investigation? This whole series of questions frankly mystifies me. I mean, these two men who ostensibly provide oversight of FISA clearly didn’t understand what the biggest risk to privacy is –back door searches of US person content — which at the FBI doesn’t even require any evidence of wrong-doing. That is the biggest impediment to reauthorizing FISA. But Rooney and Gowdy and maybe even Nunes seemed worried that their colleagues in the House have seen someone like them — not a young Muslim, but instead a conservative white man — caught up in FISA, which has suddenly made them realize that they too have conversations all the time that likely get caught up in FISA? Or are they worried that the public discussion of FISA will expose them for what they are, utterly negligent overseers, who don’t understand how invasive of privacy FISA currently is? If it’s the latter, their efforts to assuage concerns should only serve to heighten those concerns. These men know so little about FISA they don’t even understand what questions to ask. In any case, after today’s hearing I am beginning to suspect the IC doesn’t like to have public hearings not because someone like me will learn something, but because we’ll see how painfully little most of the so-called overseers have learned in all the private briefings the IC has given them. 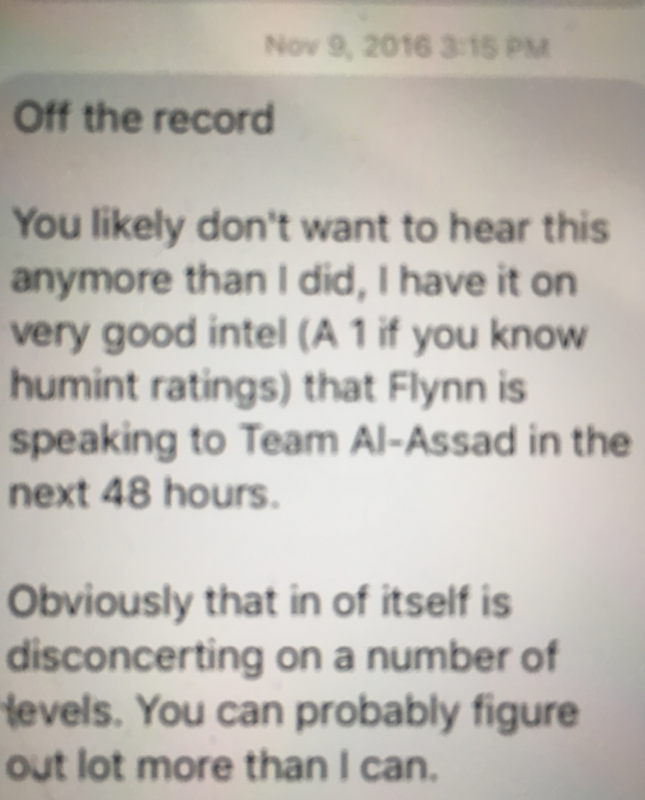 If these men don’t understand the full implications of incidental collection, two months after details of Flynn’s conversations have been leaked, then it seems likely they’ve been intentionally mis or underinformed. Or perhaps they’re just not so bright. As every newspaper in town has reported, at today’s hearing into Russia’s hack of the DNC, Jim Comey confirmed that the FBI has a counterintelligence investigation into the hack that includes whether Trump’s associates coordinated with Russian actors. Along the way, Comey refused to join in James Clapper’s statement that there was no evidence of collusion between Trump’s aides and Russia. When the now retired Director of National Intelligence said that, Clapper had emphasized that his statement only extended through the end of his service, January 20; he warned that some evidence may have been discovered after that. A far more telling detail came close to the end of the hearing, during NY Congresswoman Elise Stefanik’s questioning. She started by asking what typical protocols were for informing the DNI, the White House, and senior Congressional leadership about counterintelligence investigations. Stefanik: My first set of questions are directed at Director Comey. Broadly, when the FBI has any open counterintelligence investigation, what are the typical protocols or procedures for notifying the DNI, the White House, and senior congressional leadership? Comey: There is a practice of a quarterly briefing on sensitive cases to the Chair and Ranking of the House and Senate Intelligence Committees. The reason I hesitate is, thanks to feedback we’ve gotten, we’re trying to make it better. 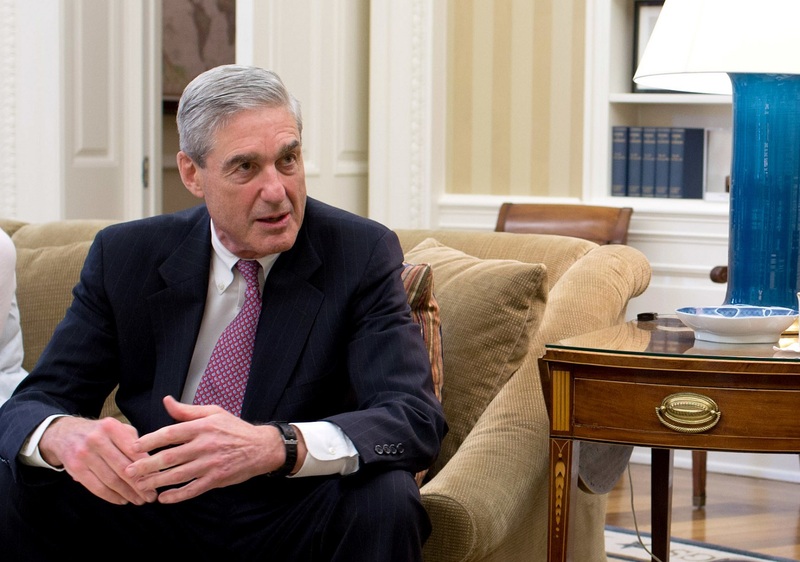 And that involves a briefing briefing the Department of Justice, I believe the DNI, and the — some portion of the National Security Council at the White House. We brief them before Congress is briefed. Stefanik: So it’s quarterly for all three, then, senior congressional leadership, the White House, and the DNI? Comey: I think that’s right. Now that’s by practice, not by rule or by written policy. Which is why, thanks to the Chair and Ranking giving us feedback, we’re trying to tweak it in certain ways. Note that point: the practice has been that FBI won’t brief the Gang of Four until after they’ve briefed DOJ, the DNI, and the White House. 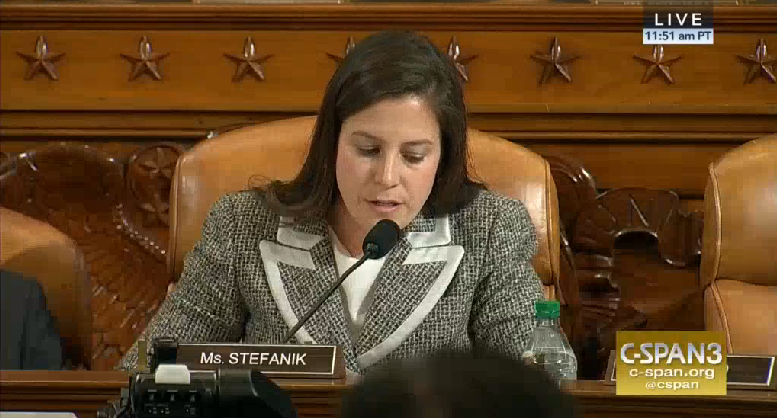 Stefanik goes on to ask why, if FBI normally briefs CI investigations quarterly, why FBI didn’t brief the Gang of Four before the last month, at least seven months after the investigation started. Comey explains they delayed because of the sensitivity of the investigation. Stefanik: So since in your opening statement you confirmed that there is a counterintelligence investigation currently open and you also referenced that it started in July, when did you notify the DNI, the White House, or senior Congressional leadership? Comey: Congressional leadership, sometime recently — they were briefed on the nature of the investigation and some details, as I said. Obviously the Department of Justice must have been aware of it all along. The DNI … I don’t know what the DNI’s knowledge of it was, because we didn’t have a DNI until Mr. Coats took office and I briefed him his first morning in office. Stefanik: So just to drill down on this, if the open investigation began in July, and the briefing of Congressional leadership only occurred recently, why was there no notification prior to the recent — the past month. Stefanik: So when you state “our decision,” is that your decision, is it usually your decision what gets briefed in those quarterly updates? Comey: No. It’s usually the decision of the head of our counterintelligence division. Stefanik: And just again, to get the details on the record, why was the decision not to brief senior congressional leadership until recently, when the investigation had been open since July, a very serious investigation. Why was that decision made to wait months? Stefanik then got Comey to reconfirm what the IC report says: that Russia had hacked numerous entities, he would later say over a thousand, including Republican targets. Stefanik then turned to the Yahoo investigation. She asked whether the FSB officers involved conducted the hack for intelligence purposes — a question Comey refused to answer. He also refused to answer what the FSB did with the information stolen. Stefanik: Taking a further step back of what’s been in the news recently and I’m referring to the Yahoo hack, the Yahoo data breach, last week the Department of Justice announced it was charging hackers with ties to the FSB in the 2014 data breach. Was this hack done, to your knowledge, for intelligence purposes? Stefanik: Press reporting indicates the Yahoo hack targeted journalists, dissidents and government officials. Do you know what the FSB did with the information they obtained? Stefanik: Okay, I understand that. This is important for a number of reasons, including the evidence that the FSB was hiding their hacking from others in Russia. Stefanik then turned to the sanctions, asking if Comey had any insight into how the Obama Administration chose who got sanctioned in December — which included Alexsey Belan but not the FSB officers involved (one of whom, Dmitry Dokuchaev, was already under arrest for treason by the time of the sanctions). Stefanik: How did the Administration determine who to sanction as part of the election hacking? How familiar are  with that decision process and how is that determination made? Comey: I don’t know. I’m not familiar with the decision-making process. The FBI is a factual input but I don’t recall — I don’t have any personal knowledge about how the decisions were made about who to sanction. Again, her interest in this is significant — I’ll explain why in a follow-up. Stefanik then asked what the intelligence agencies would do going forward to keep entities safe from Russian hacking. As part of the response, Mike Rogers revealed (unsurprisingly) that NSA first learned of FSB’s hacking of those many targets in the summer of 2015. Finally, Stefanik returned to her original point, when Congress gets briefed on CI investigations. Comey’s response was remarkable. 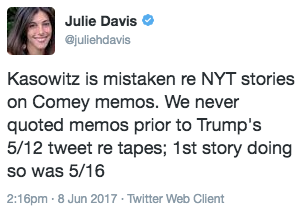 Update: I’ve corrected my last observation to match Comey’s testimony that the delay had to do with keeping things on a close hold within the Executive Branch. 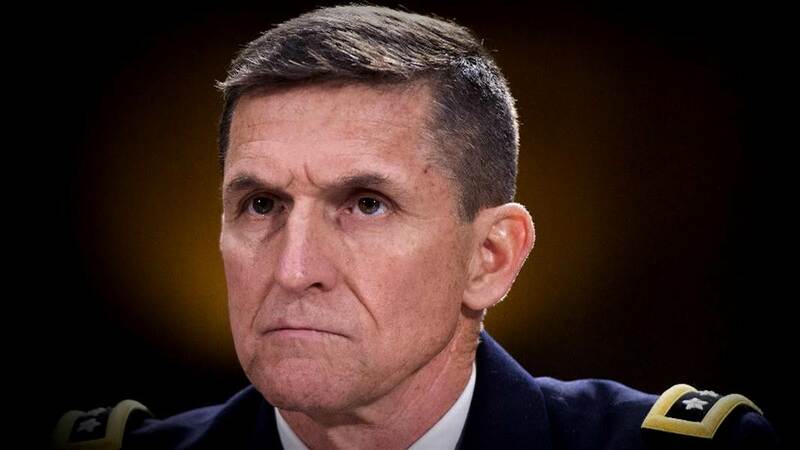 That may be nothing, it may reflect the delay on confirming Dan Coats, it may be Flynn (if you normally brief the NSC, after all the National Security Advisor would be among the first to be briefed), but it also could be Jeff Sessions. The Intelligence Community is finishing its report on the intelligence regarding Russia’s influence in our elections. The report is expected to be delivered to President Obama tomorrow and briefed to President Elect Trump on Friday. That’s the context for — and surely at least part of the explanation for — this WSJ story reporting that Trump plans to reorganize the intelligence community. [A]dvisers also are working on a plan to restructure the Central Intelligence Agency, cutting back on staffing at its Virginia headquarters and pushing more people out into field posts around the world. The CIA declined to comment on the plan. 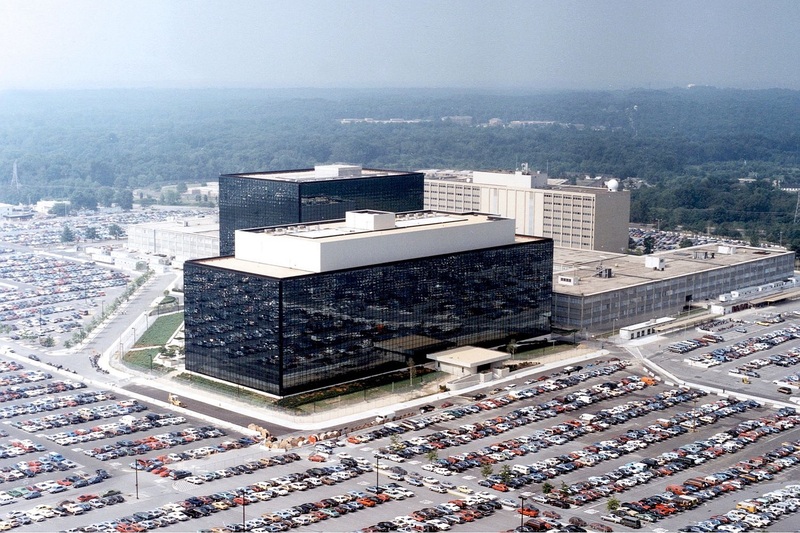 The Office of the Director of National Intelligence was established in 2004 in large part to boost coordination between intelligence agencies following the Sept. 11, 2001 terror attacks. “The management and integration that DNI focuses on allows agencies like the CIA to better hone in on its own important work,” said Rep. Adam Schiff (D., Calif.), the ranking Democrat on the House Intelligence Committee, who believes dismantling the ODNI could lead to national security problems. Mr. Trump’s advisers say he has long been skeptical of the CIA’s accuracy, and the president-elect often mentions faulty intelligence in 2002 and 2003 concerning Iraq’s weapons programs. But he has focused his skepticism of the agencies squarely on their Russia assessments, which has jarred analysts who are accustomed to more cohesion with the White House. The report repeats earlier reporting — in part from some of the same WSJ reporters — that Trump planned this briefing. 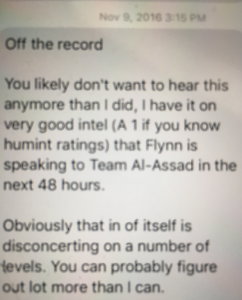 Back then, in mid-November, Trump was merely disdainful of the IC and much of the reorganization appeared to be a mix of vengeance on the part of Mike Flynn and, frankly, some reasonable ideas (things like splitting NSA and reversing some of the questionable changes John Brennan made). At the center of it all was a plan to make Admiral Mike Rogers Director of National Intelligence. The day after that reporting, however, outlets reported that Ash Carter and James Clapper had been planning to fire Rogers, partly because the NSA had remained a leaky sieve under his tenure and partly because he had delayed cyber-bombing ISIS (perhaps to preserve intelligence collection). 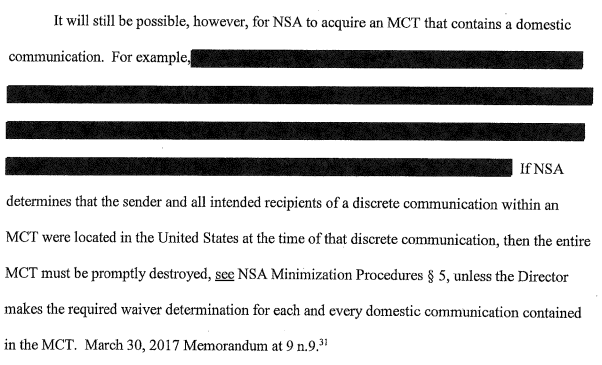 And that’s before it became public that the NSA hadn’t adopted four security measures recommended after the Snowden leaks. After that, of course, Democrats and the CIA started leaking that Russia hacked the DNC with the purpose of electing Trump, which gave Trump the entrée to suggest this discussion is all politicized, which has escalated to this week. Trump seems to have orchestrated the Sean Hannity interview at which Julian Assange said what he has long said — that he didn’t get the DNC files from Russia. Reuters is now reporting that after the election the IC determined that third parties had gotten the files from Russian entities to Wikileaks, which means Assange likely has no idea where the files came from. But the timing of this story, sourced significantly to the Trump camp, seems to be a warning to those who will brief Trump on Friday. While Clapper and Brennan are on their way out (the fate of Comey and Rogers is still undecided), they certainly will want to protect their agencies. Which should make for an interesting briefing Friday.